Congratulations to Woodcroft Landscapes, Landscape Contractor on the prestigious RPP Derryhale House. 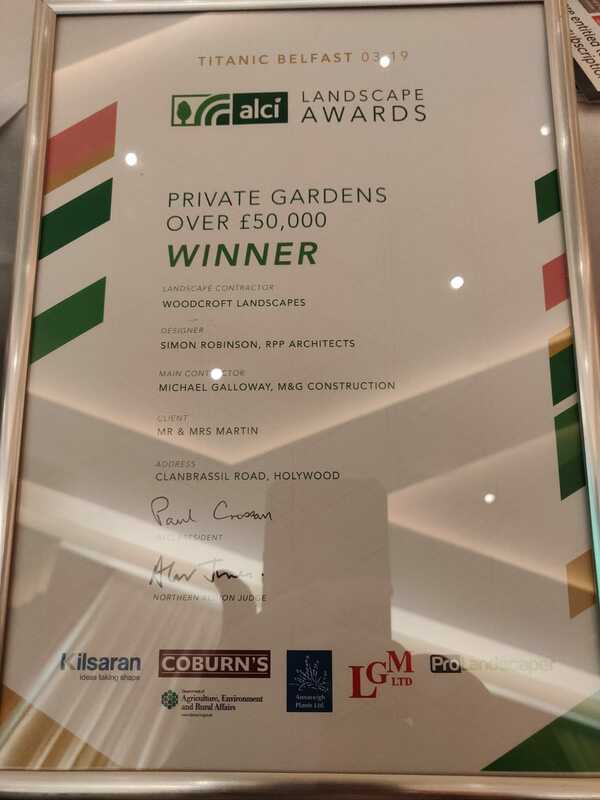 Winners at ALCI Awards 2019 for Best Private Garden valued over £50,000. You will have to wait a bit longer for the professional photographs, which are taken in mid Spring. I Can assure you, it will be worth it!